Ravenswood founder and winemaker Joel Peterson has spoken out about an “awful” 2011 vintage in California. According to Peterson, the Bordeaux varieties really suffered. “Napa Cabernet never got ripe; it was a very bad year for Napa and Mendocino. We had to sort our Cabernet and Merlot in the field and crush straight away – I’ve never had to do that before. “We moved as fast as we could. You could almost see the botrytis spreading in the truck. There were a lot of mercy picks. With two short harvests, a lack of plantings and increased consumer demand, Peterson predicts there will soon be no bulk wine left in the Californian market. “California has done itself great damage by working at the bottom end of the market, but things are about to change. We’ll see low-priced brands disappear as they won’t be able to maintain their prices. I’ve heard the complete opposite from other winemakers. My brother, who is an assistant at another vineyard, said this year was one of the most exciting harvests they’ve had, and that they cannot wait to see how the wine turns out (Cab). By every expectation, they expect nothing short of stunning. I suppose experiences vary with location in the valley. Growers who were not on top of their game with the botrytis early in the season were rewarded with a poor quality harvest. Harvest was down 40-50%, while some of this can be attributed to selection of harvested fruit in the fields, a portion comes from poor fruit set, green harvest and dropping of diseased bunches. The 2011 vintage was difficult but the plus side is that fruit had a longer cooler ripening time which provided some incredible complexity. I am really excited to see what producers will do with this vintage, hopefully we can see some lower alcohols with a touch of herbal character that old world cabernet sauvignons are known for. However, overuse of grape concentrate, sadly, will produce wines with higher alcohol but lack of character. Let’s wait, see and taste what’s in the bottle before we condemn this vintage. Shades of 1989. When the wines were released everybody got them in ahead of the rains. Or so they said. This will be a vintage that will get ripped by the wine press. The few great wines made, thanks to the long, cool season, will be overlooked and underpriced. Joel is an amazing winemaker, but I think the author may have gotten some of her facts and quotes wrong during her interview. Ravenswood does not made a Napa Cabernet and I doubt Joel would have much to say about Napa growing conditions for this varietal. It was a challenging year, but the wines taste much better than the fruit looked and I would not write 2011 off just yet. Lucy’s report makes the situation sound more apocalyptic than I intended and, in fact, more apocalyptic than it was. 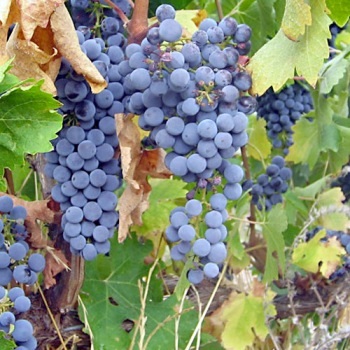 While we lost a good deal of fruit to Botrytis and other fungus, and by California standards it was a difficult vintage (other regions of the world might consider this unjustified whining), bad weather events should not necessarily be directly correlated with sweeping generalizations about bad wine. California, and Napa Valley is a diverse place, that gives the possibility for many different outcomes in any given weather pattern. In truth there will be some very good Napa Valley Cabs and cool climate Chards made in vintage 2011. The work done in the fields and the wineries by the picking crews and the winemakers was heroic. Sorting fruit has gotten quite sophisticated and will lead to very good wines for people who did it well. These wines are likely to please that group of journalists and others that are looking for lower alcohol in California. Indeed we had quite good flavor development at lower sugar levels this year. In addition, it is likely that the consumer will never see wines that were less than successful. so as Michael says, don’t write off 2011 just yet. The last line about things being too good for the consumer is not as anti-consumer as it sounds- I am a consumer and I love a good wine deal-it is just that it has become increasingly difficult to have a financially sustainable model for growing grapes in the North Coast of California. When the system is out of balance, no one wins in the long term. The report of the demise of the Napa Valley vintage is greatly exaggerated. No question the weather was perhaps the most challenging on record. Merlot generally had a larger problem with shatter as a consequence of early rain. With respect to the late rain, Cabernet fared pretty well. Timing of the late season rains were such that the cabernet sugars were not yet there and the thicker skinned grapes survived much better than this article indicates. It took a few more weeks post rain to get the cab philologically ripe. What is unique about the vintage is sugars were lower. That however is the very thing many were complaining about with extended hang-time. I’m expecting that to be repaired in the cellar. Of course the proof will be in the bottle. I expect there will be a higher level of winery to winery variation, but I am actually more looking forward to the wines produced from this vintage than any of those of late. I expect some very elegant, fruit forward and balanced wines will be produced versus anything we’ve seen in Napa since maybe 1998; which while panned by the press ended up producing better cellared wines than the “vintage of the decade” did the year before in 1997. So …. I guess we’ll see. I think many experts will be quite surprised at how well the reds turn out this vintage.